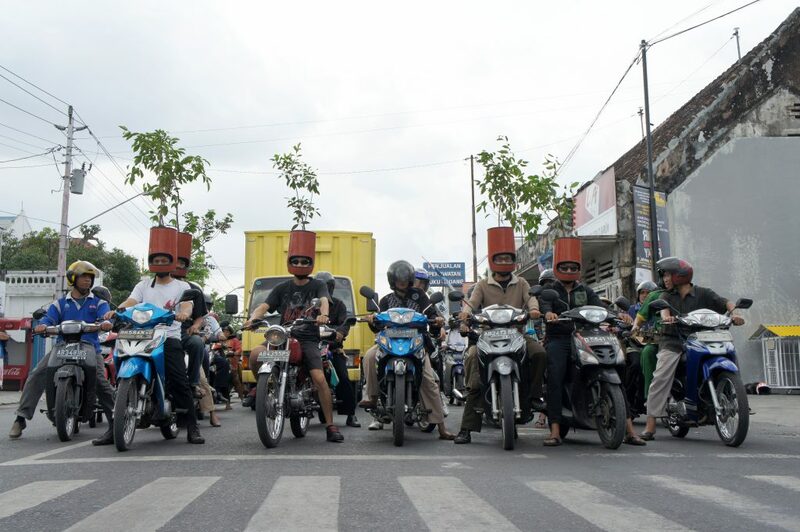 TREEBUTE to YOGYA is meant as a homage to the very green city of Yogyakarta. 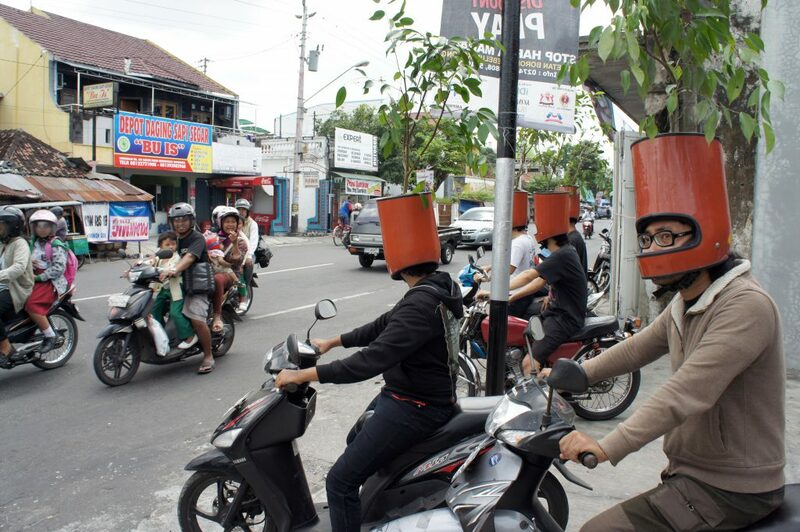 Not only in the streets and gardens but also in the surrounding rice fields. Now a day the city is still quite green but modernization goes fast and changes the city environment. 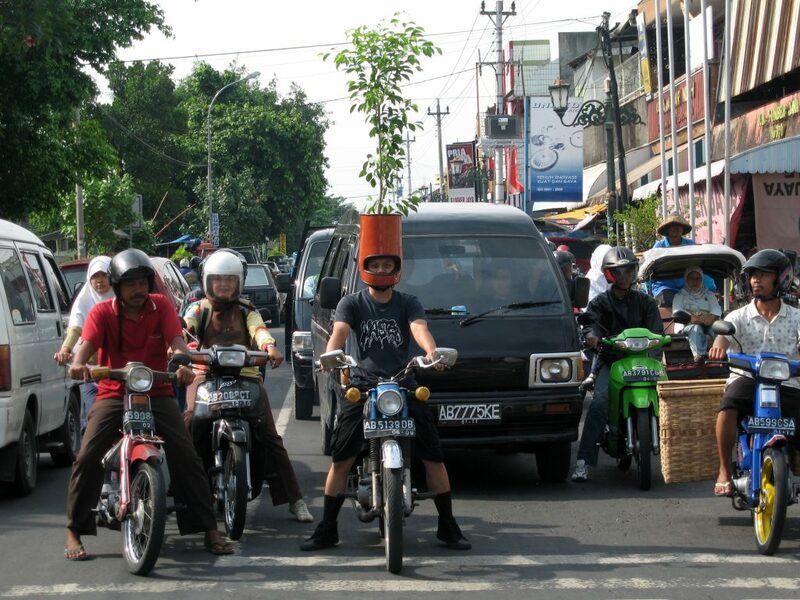 TREEBUTE to YOGYA is also a direct way to CO2 compensation while driving the motorbike and keeping Yogya clean. 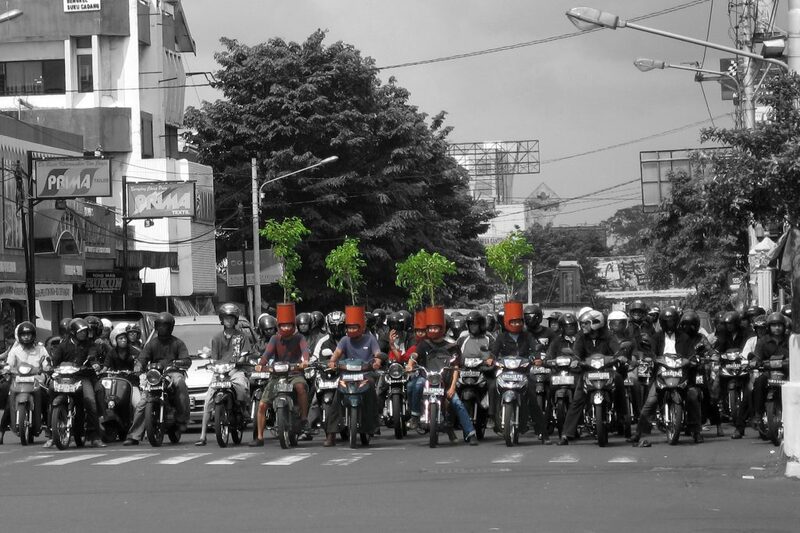 The tree on the helmet is a Banyan tree which gives lots of shadow and protection. It is also seen as a divine tree.